Ten-year–old Lexi has always gotten just about everything her heart desires. Even her dream of becoming a moko jumbi majorette is getting closer to becoming a reality now that her brother is willing to help her learn the hard moves. However, life becomes a roller coaster for our young heroine as she learns that getting what you want comes with a price, especially when what you want is not yours to have. 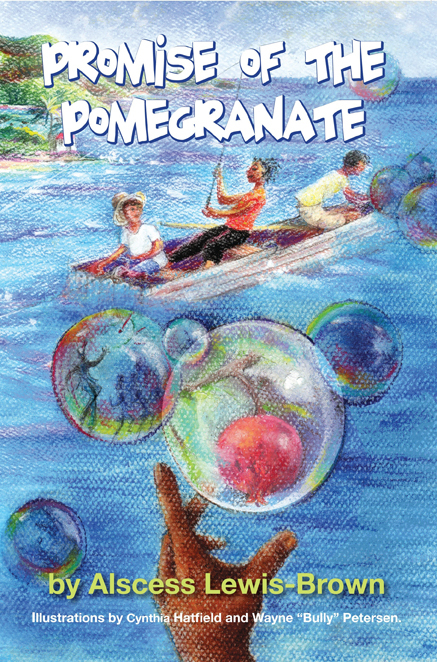 Follow the adventures of Lexi, her family and friends in Promise of the Pomegranate, the highly-awaited sequel to Moko Jumbi Dreams. This is a story filled with valuable lessons about friendship, community, family, loyalty, and the importance of accepting responsibility for our actions.